BETAR® resonates your life! 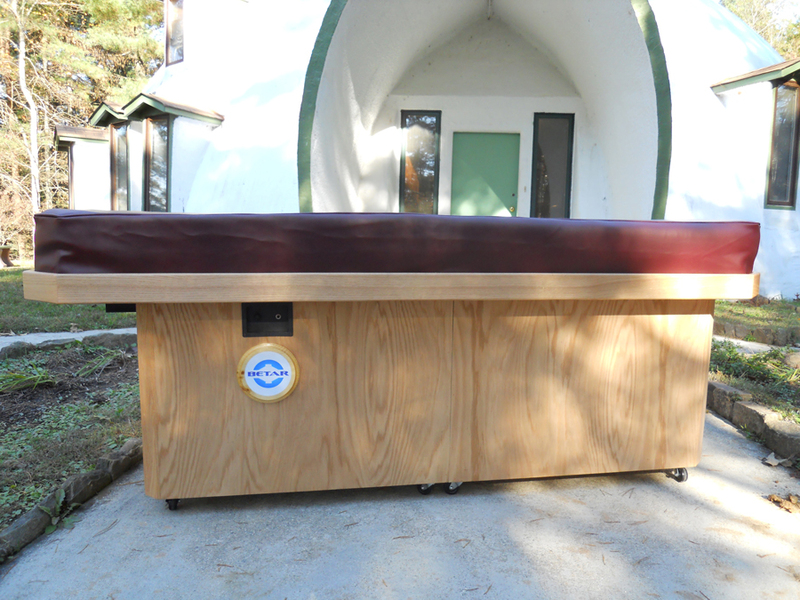 BETAR focused vibroacoustic sound therapy systems combine the relaxation power of total-body sonic energy massage, soothing low-frequency sound and magnetic waves, and the healing power of your favorite music to deliver the ultimate in stress reduction, pain release and personal balance. Resonate your life with BETAR! You need a BETAR ride! A sonic energy massage that melts away stress, tension and pain. The ultimate in deep relaxation. A pathway to a physical or emotional release. A pathway to an esoteric experience. 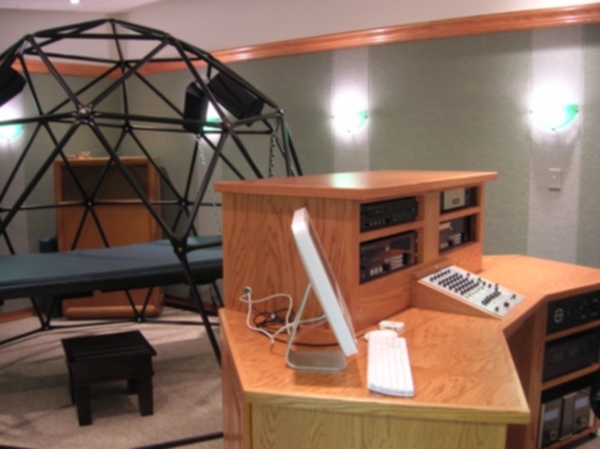 We have the right BETAR Focused Vibroacoustic Therapy system for your home or business. At the heart of every vibroacoustic BETAR system is a focused speaker array and the BETAR Deluxe 10 Amplifier that put the sonic energy where it is needed most. The addition of top quality Bose® headphones place Portable, Spa and Standard Edition users in a personal vibroacoustic sanctuary. 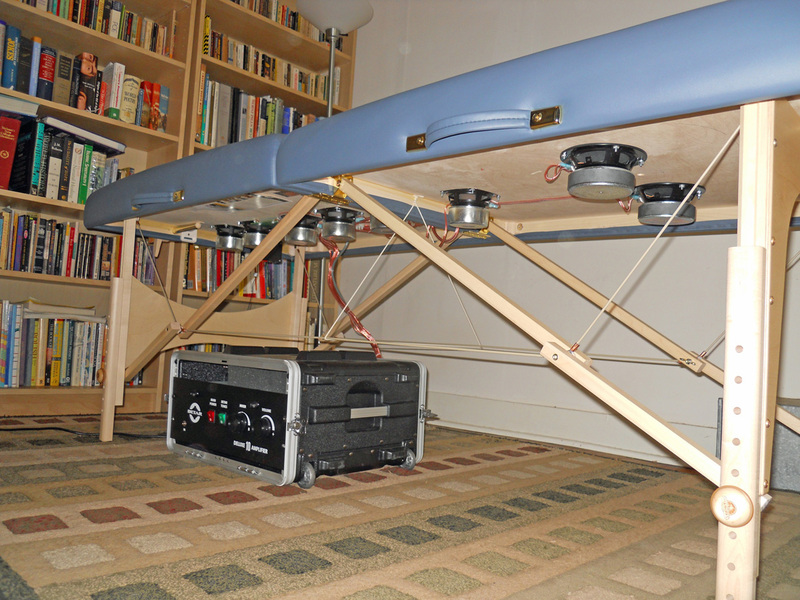 Riders of Pro and Master Edition Systems float in space at the heart of a geodesic dome framework, with the vibroacoustic sound therapy table positioned at the focal point of an additional eight-speaker array that guarantees absolute immersion in their favorite songs, symphonies and soundscapes. Most BETAR systems may be customized to meet the needs of any client, enterprise or institution. You need the ultimate in deep relaxation. You need a BETAR ride! 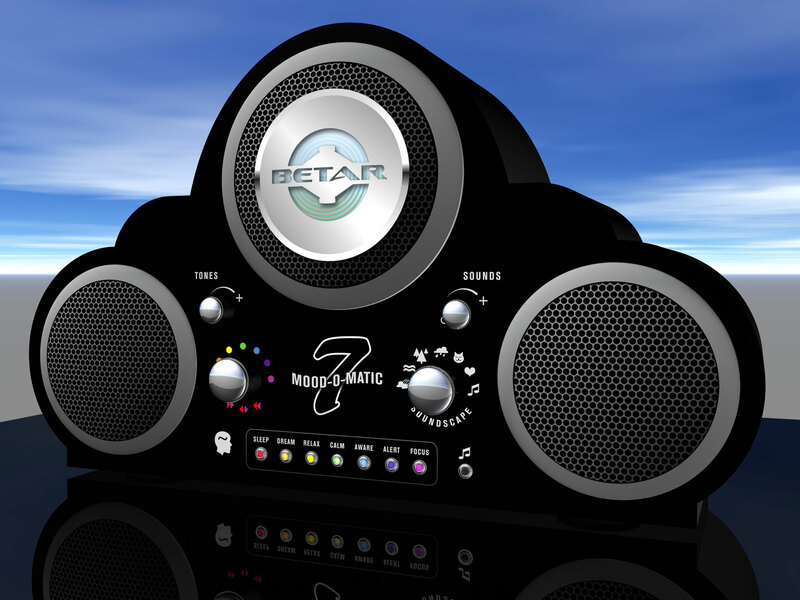 The BETAR Mood Tones are at the heart of every BETAR experience. These seven low frequency waveforms directly pulse the body and its natural electrical/energetic field, inducing simultaneous brainwave stimulation and energy activation through resonance with the BETAR Tones. 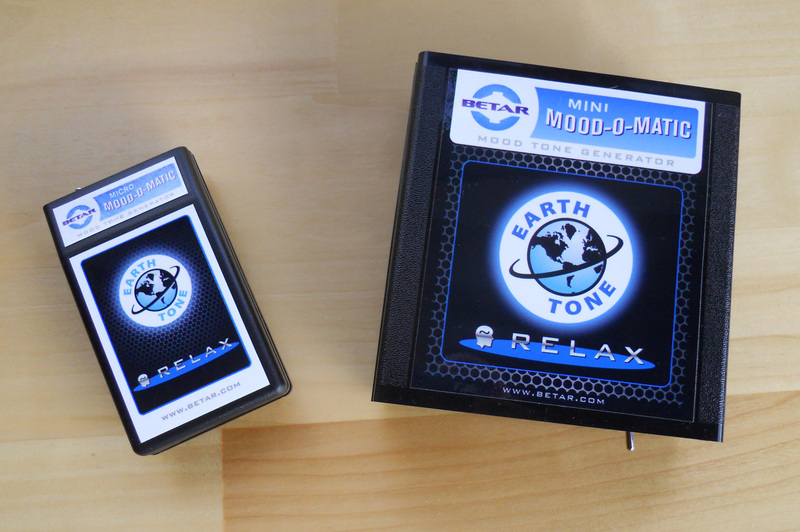 Mood-O-Matic Mood Tone Generators bring the BETAR experience into the home, office or car. These pocket and desktop sized devices generate BETAR Tones that are delivered as magnetic waves by our exclusive dual-spin coil antenna. The result is soothing, silent, brainwave stimulation that is totally unobtrusive in the home or workplace. All Mood-O-Matics also feature an LED lamp that pulses in perfect synchronicity with the Mood Tone being produced. Focusing intently on the light produced by the LED can stimulate entrainment of brainwave activity through the most direct pathway - the visual cortex. The lamps are also easy to hide if users are sensitive to flashing lights in any way. Because each Mood Tone is associated with a naturally-occurring range of human brainwave activity, Mood-O-Matic Mood Tone Generators automatically encourage the brain to fall in harmony with the state of mind selected by the user. Simply flip a switch and let Mood-O-Matic do the rest! Mood-O-Matic: RELAX for wakeful relaxation. Mood-O-Matic: SLEEP for deep, restful sleep. NOTE: BETAR Mood-O-Matic Mood Tone Generators utilize low frequency electronic signals, pulsing magnetic fields and blinking lights to stimulate the desired mood response in the user. 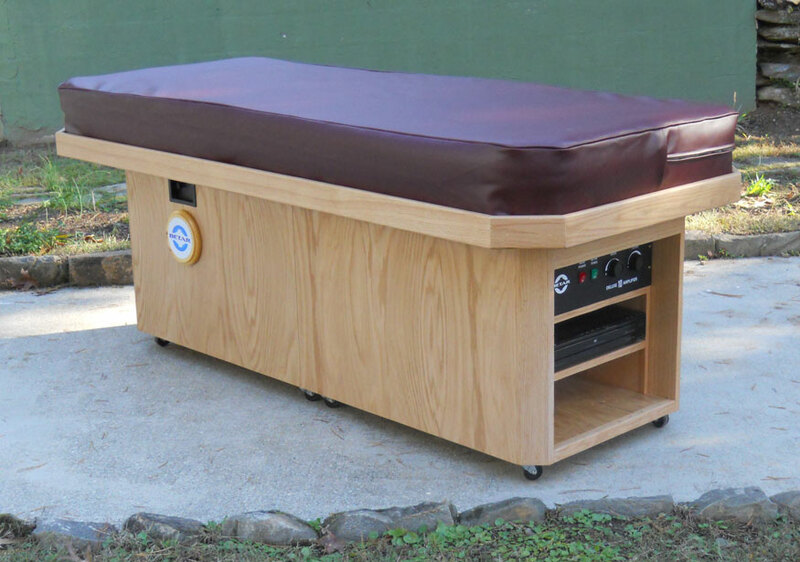 In addition, BETAR focused vibroacoustic sound therapy systems deliver sonic energy to the centerline of the body and the legs, blending seven low frequency tones with amplified music. Anyone with medical concerns about any aspect of this technology should consult their physician before use!